KITANICA was originally founded in 1995 in Brooklyn, NY by master designer, sewer and pattern maker Beej Cronin. The company is now located near San Francisco, CA and Beej, his brother Chris and their cousin Len produce a growing range of exceptionally durable, distinctive, utilitarian, and comfortable clothing for tactical and outdoor use. And if you’re a fan of Mythbusters and/or Tac TV you might well have seen Adam Savage and/or Larry Vickers wearing one of KITANICA’s creations on-screen. 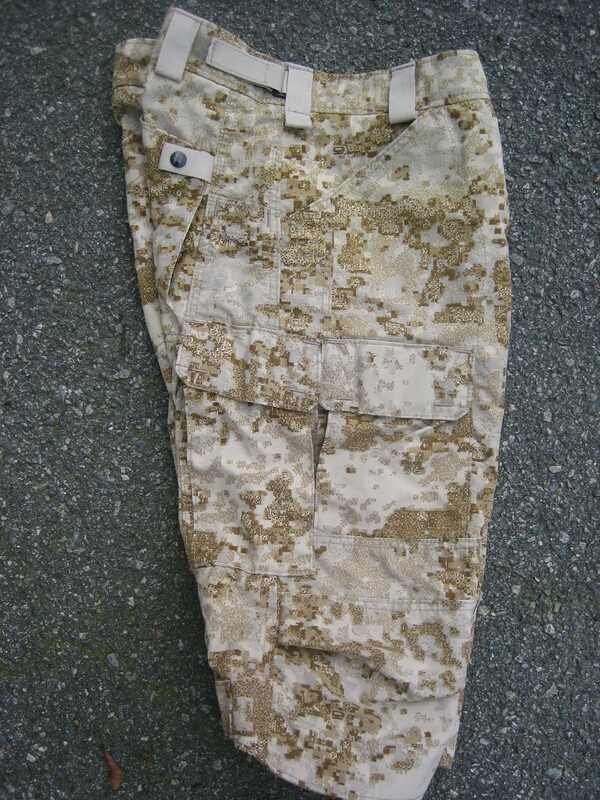 KITANICA are also kind of noteworthy for keeping their color options basic – just black, olive drab and khaki – apart from a limited trial with MultiCam, KITANICA don’t really “do” camouflage. So we felt pretty special when they told us that they are fans of PenCott, and that they’d decided to do a prototype of their new Mountain Shorts in our PenCott-Sandstorm pattern. The Sandstorm Mountain Shorts are made from our milspec 50/50 NyCo ripstop fabric that’s printed for us by Duro Industries (as are all of our other fabrics), and they include a multitude of practical features. KITANICA even very kindly sent this pair to our Marketing Director, Lawrence, for evaluation and feedback – so we can attest that this design is a real winner. As you can see from the overview below, these shorts have a multitude of ergonomically-placed, no-snag, pockets that allow you to carry loads of different items comfortably and conveniently. 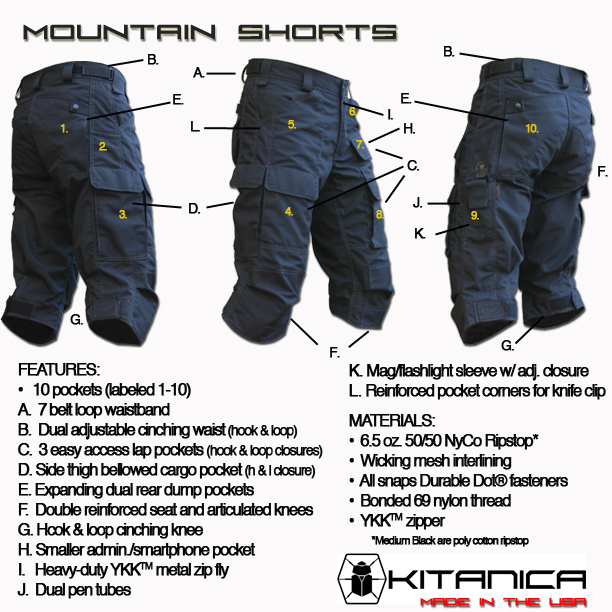 Please contact KITANICA directly for further information about the planned availability of their Mountain Shorts, and/or any of their other products in PenCott camouflage.